OK, everybody, here it is, the photo tour of our new home that you have been waiting for. Last night we had the amazing and talented Melanie Folwell over to do a photo shoot for Rio’s first birthday (which was over a month ago!) and this morning we awoke to the awesome photo above! There we are! 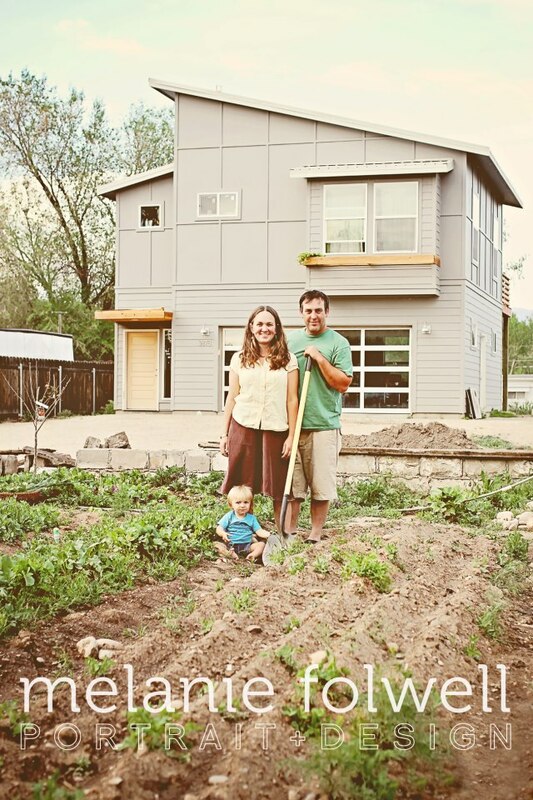 Our house and our family, truly living the dream in Boise, Idaho. It makes me so happy and grateful just to look at this photo! I’m feeling inspired to finally share some of these photos. As promised, on the day that we had Rio’s first birthday party, I got the house cleaned up enough to take some pics. 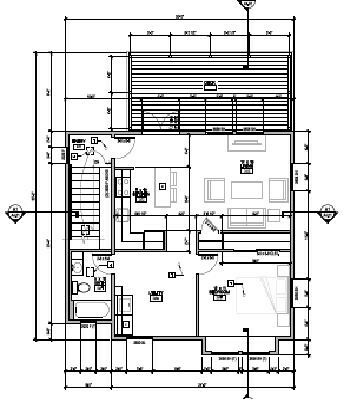 This floor plan is the upstairs half of our house, the official “living quarters” which is about 680 square feet. What appears as a laundry room here is actually Rio’s bedroom, which is open to the living room and bathroom, in order not to waste space on a hallway. It’s perfect for him right now, since we can still see him from the kitchen while he’s playing. The unit is designed to be able to be rented out sometime in the future, so could be self-contained with its own laundry. This room also has a spiffy loft above it that you can’t see in the plans. Even though it’s small, it doesn’t feel cramped. It feels open, airy, light and bright. It has an amazing back deck with an amazing view, and I love living up high, watching the birds, the mountains and the sky. Downstairs is a garage, just one open room, with a second bathroom and the windowed garage door. Future plans might include turning it into a commercial kitchen, living space, or some other kind of work space. Anyway, the rest of the house is about what the plans describe. Take a look at some photos on the slide show! Tags: Farmer Marty, Garden City, House, Katie Painter, Marty Camberlango. Bookmark the permalink. Previous post ← It’s Asparagus Season! GORGEOUS! You have a beautiful home to go with your beautiful family. Cheers!